*The following products were sent to me by Shimmer Polish in exchange for my honest review. I have been fawning over Shimmer Polish for long a time now. What I love about Shimmer Polish is how it goes a different route than many other indies. 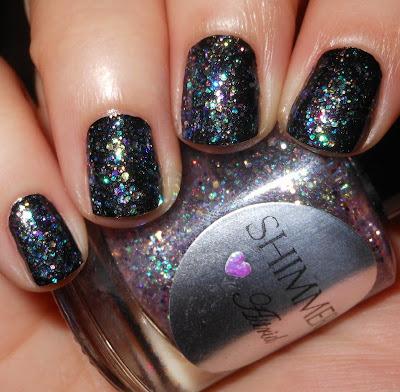 Shimmer Polish tends to focus on fuller coverage fine and small glitter polishes. 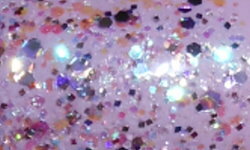 These polishes feature many different color combinations with glitter that create the perfect glitzy look. I have for you today, Astrid, Jacki, and Nichole. Astrid is described as a amethyst opal mix of glitter. Jacki is a deep violet jelly mixed with navy, red, and other multi-colored glitter. 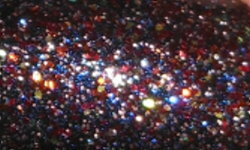 Nichole is a mix of red, silver, and blue glitter. Colors: I love these glitter mixes! These stand out, the combinations are fun, and they all create very different effects. Astrid is a real stunner for me here! Formula: All of these formulas were easy to use. I chose to do 2 coats over bases with these. While, with some of these you can build them up on their own, I think a backdrop really helps them pop against your nails. I was worried with these being glitter bombs the formula could be challenging, but this wasn't the case at all. Easy breezy! Price: These polishes are $12 and can be found on etsy. You can also purchase through Shimmer Polish directly via email. There are directions on her site on how to do so. Overall: These are pretty spectacular. 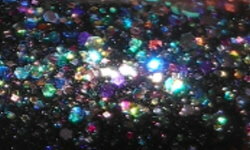 I do not own any other indie glitters like this, and I have over 200 indie polishes. These have the same thing going for them like those great glitter bombs OPI had in 2010. Shimmer Polish has tons more awesome glitters, and with better formulas though. These are well made, beautiful, and I'm very impressed! Be sure to check out Shimmer Polish's website for a full list polishes and follow on Facebook! * I received the above products by Shimmer Polish for review. Astrid looks like a galaxy!